18.54mm x 20.76mm / 0.73in. x 0.817in. Small Oval PhotoArt® Charm by Rembrandt Charms. The height is 3/4 of an inch. 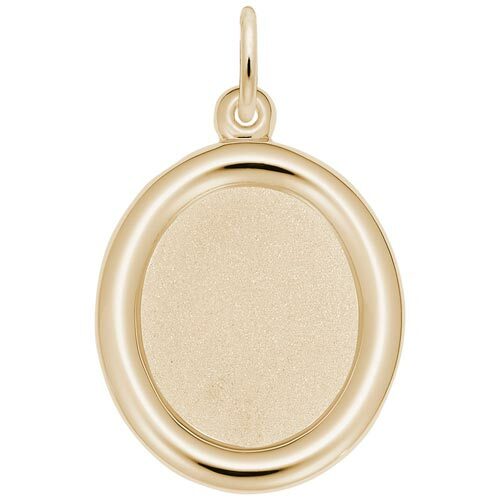 The Small Oval PhotoArt® Charm lets you bring the photo of your loved one with you on your charm bracelet every day. This charm can be engraved on the back.